If you have any questions or want to enquire about dates, use our form to contact Françoise Cavallo or see their website for more information. Cloaked in a remote valley sweet with lavender lies an 18th-century farmhouse with ingeniously restored barns – find lavender stalks in the plaster! Lovely generous rooms have classy bathrooms, iron beds, crisp linen, a patio and terrace each, and views over valley and hills fat with bees. The chic two-storey suite comes with a kitchenette, the other suite is more rustic, and there’s a shared living room with a cosy wood-burner. In a courtyard garden heady with blooms breakfast on homemade honey, cherries, plums, and then daydream by the small pool. Provence at its bucolic best. Dinner with wine, €30. Guest kitchen. Extra bed/sofabed available €20-€60 per person per night. A perfect Chambre d'hote to relax. Situated in the middle of lavender fields, 3 tenths of a mile from the road, and miles from nowhere! Mme Cavallo was charming and helpful - and she prepares a wonderful breakfast. There is much to see in the area, and a pleasant pool in which to cool down. We had a wonderful week in this magical place. Surrounded by lavender fields and an almond orchard with the song of nightingales at night, not to mention a hooting scops owl and croaking toads, and the occasional barking of a deer. So peaceful. Our hostess, Françoise, was extremely kind and helpful, and her breakfasts superb, even to the placing of different plants (wheat, rosemary etc.) in neat rows beside our place settings, and changing this decoration each day. We hope to return one day! This is the most delightful place nestled in the mountains and surrounded by lavender fields and off the beaten track. For a quiet and relaxing stay it cannot be beaten. The place itself is beautifully restored and everything you can wish for in a rural holiday. What makes this a top quality B&B is the charming owner, Francoise. She is the sweetest Frenchwoman you can find. This was one of our finest discoveries and we look forward to our return. Le Clos de Rohan is the epitome of Provencal chic style. Our suite was large with a delightful lounge with pale walls and white furniture. The bedroom contained a large traditional brass bed with beautiful linen sheets and a contemporary shower room. The delightfully discreet hostess Francoise brought us breakfast every morning complete with warm croissants, home made jams and honey. This beautiful Provencal farmhouse, with its blue shutters, overlooks lavender fields, a peaceful retreat with the delightful hill villages of the Luberon nearby to explore..
An absolutely gorgeous place. It's romantic, beautiful, peaceful and above all, welcoming – everything you want from rural Provence. Francoise is the most charming host and fabulous breakfast-maker. She has taken great care to create a real haven. We were plotting our return as soon as we arrived. Our three days were not nearly enough. Really enjoyed our stay- Amazing apartment on 3 levels plus great balcony. Francoise was a lovely hostess. View over the lavender fields was charming. We had a wonderful few days staying at this lovely restored house with views over the lavender fields. Francoise spared no attention to detail and her breakfasts were delicious. Our only regret was that we could not stay longer!!! Le Clos de Rohan is such a magical place. It was our base for a weekend as we were attending a wedding nearby. From the start Françoise and Bernard? Were incredibly welcoming, from greeting us in the early hours of the morning after our awful flight delays, to preparing the most sumptuous food, it felt like home. The house has been so beautifully renovated with lovely little touches, including the little lavender bags in the draws. I recommend this delightful place to anyone looking for total relaxation in the most picturesque surroundings. It is truly special. 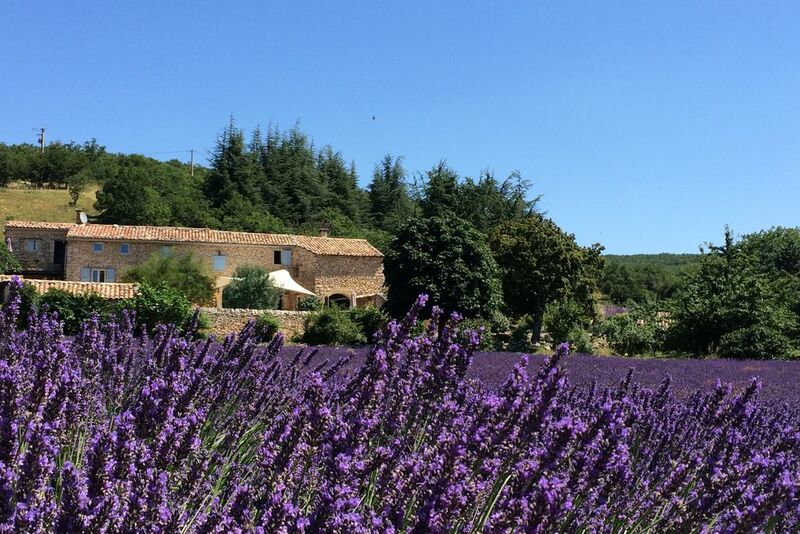 Le Clos de Rohan is a secluded and lovely place in the midst of lavender fields. The rooms are delightfully decorated and the breakfast is great. Francoise is the kindest host one could expect and has been very helpful in giving information on trips in the region. The place is located very nicely on the northern slopes of the Luberon and thus a lot of nice things to visit are in close vicinity. 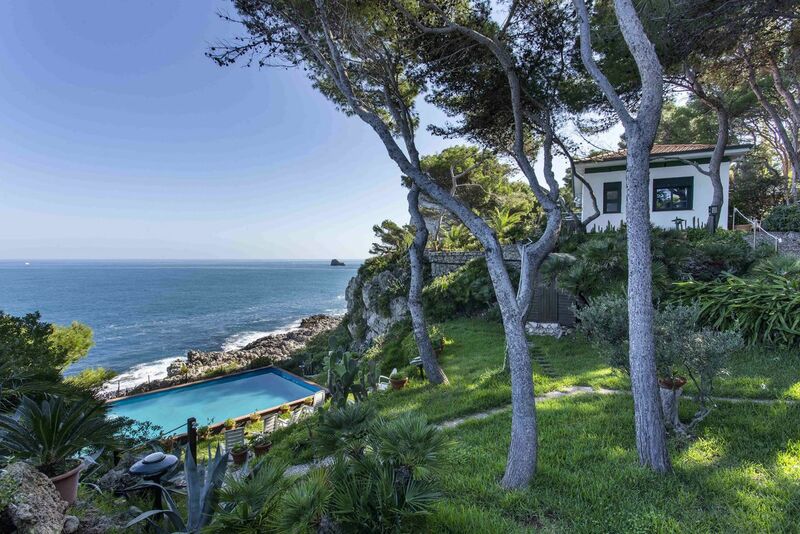 But the place is also ideal to stay at home and relax at the terrace or pool. One of the loveliest B&Bs we have been staying at during our two-week Provence-trip. Thanks for a lovely and relaxing stay. The Colorado de Rustrel with amazing ochre cliffs. Hill-top villages of the Luberon. Lavender fields between half-june and half-july.